The Easter Bunny Breakfast is full! 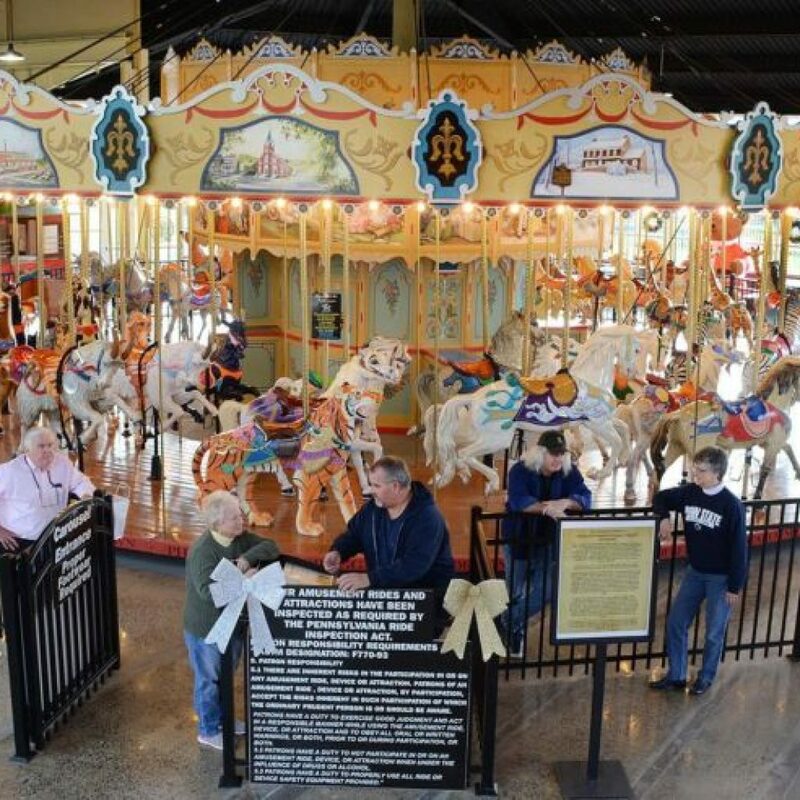 Our Carousel is the second oldest operating Philadelphia Toboggan Company wooden carousel in the United States. It took almost 20 years of volunteer efforts to renovate. Each custom carved figure took local artists over 250 hours to sand, paint, and finish. 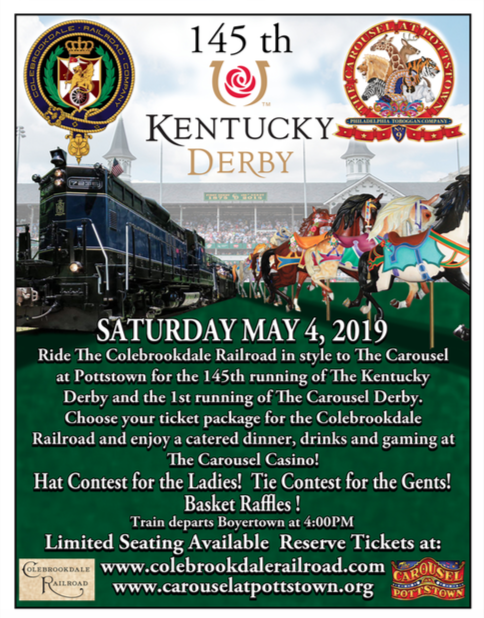 We also have an original 1860 horse drawn Trolley car originally from Wilmington, DE which has been restored, and now, is our snack bar. Ample tables and seating accommodate your group, small or large! Additionally, benches surround the carousel providing a front row view of the fun. A number of child-friendly arcade games are also available as alternative entertainment for young and old alike. Our newly renovated lobby and gift shop features a vast array of souvenir items such as ornaments, t-shirts, glasses and Reppert’s candy. You can sponsor a granite brick, scenic panel, table, or bench. Your contributions are tax deductible and your name will be inscribed on a plaque on or near the item you have sponsored. 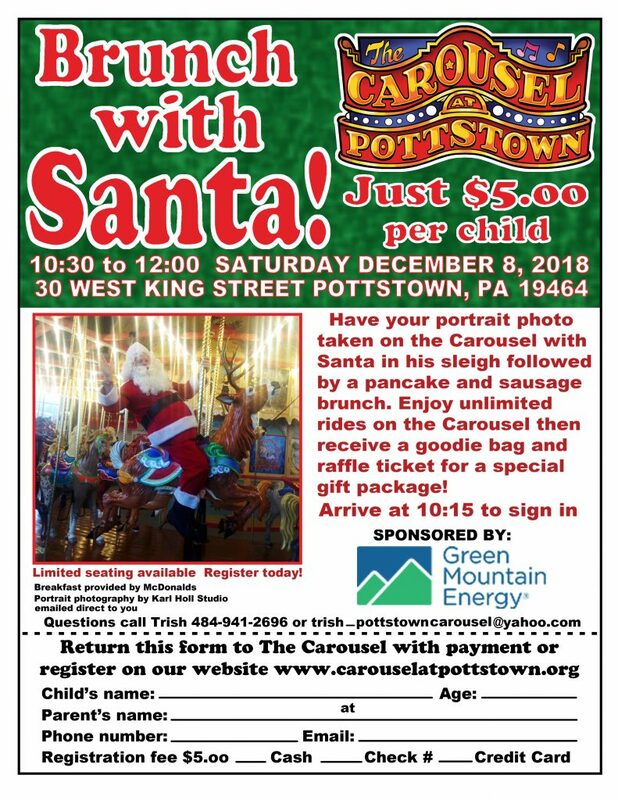 We would love to have you as our volunteer and a part of The Carousel at Pottstown. © 2018 Nucitrus Technologies. All rights reserved.